La réalisatrice, Olga Nakkas, est rentrée au Liban en 2005 avec l’intention de faire un film qui réconcilie et trace un nouveau chemin… Elle témoigne d’autres choses… Sa mère gravement malade qui ne parle que d’Ataturk, son héros, alors que le Liban sombre à nouveau dans le chaos, guerre avec Israël, guerre civile dans les camps palestiniens…. 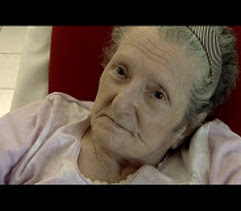 A visually striking meditation on loss and a perceptive political critique, this deeply personal work has two subjects: filmmaker Olga Nakkas’ ailing mother and the chaotic country where Nakkas was raised. Both fell sick in 1975, the onset of incurable depression for one and a bloody civil war ushering in deep divisions for the other. In this sequel to LEBANON: BITS AND PIECES (1994), Nakkas ponders the plight of the country she clearly loves while honoring the mother dear to her. Her montage draws on conversations with Nakkas’ mother toward the end of life, along with footage of this beautiful, accomplished woman and ardent secularist in more physically robust times. Stunning scenes of tranquil Beirut and southern Lebanon contrast with close-ups of a nation under siege from within and abroad. Recent interviews with two longtime friends-a leftist teacher of philosophy in a Christian village school and a Shiite Muslim viewing Hezbollah as Lebanon’s only hope-raise crucial questions about the nation’s identity and precarious future.